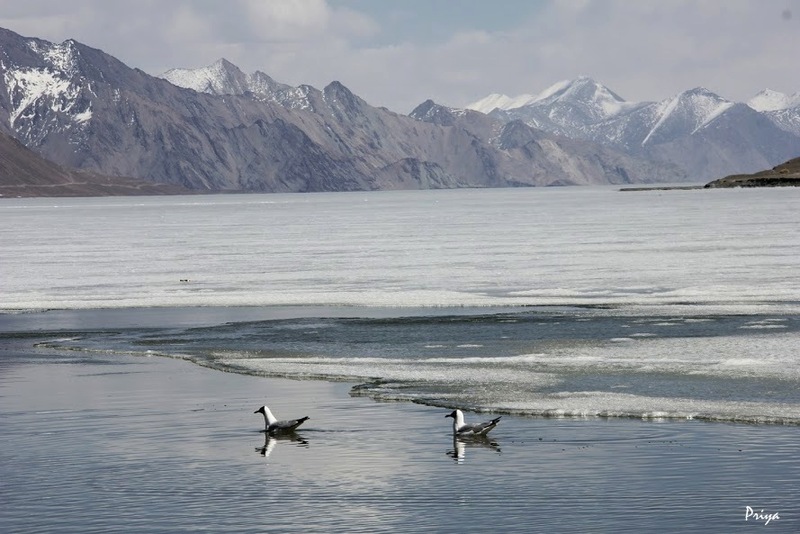 I’d seen Pangong Tso in the movies a few years ago, and been enchanted by it’s serene, azure waters and the lofty mountains that skirted it. The landscape had loomed larger than life on the silver screen, painted in vivid blue, shades of brown and crowned with spotless white. Striking, in its complete absence of green. I’d dreamt of going there someday, and viewing this extraordinary panorama first-hand. 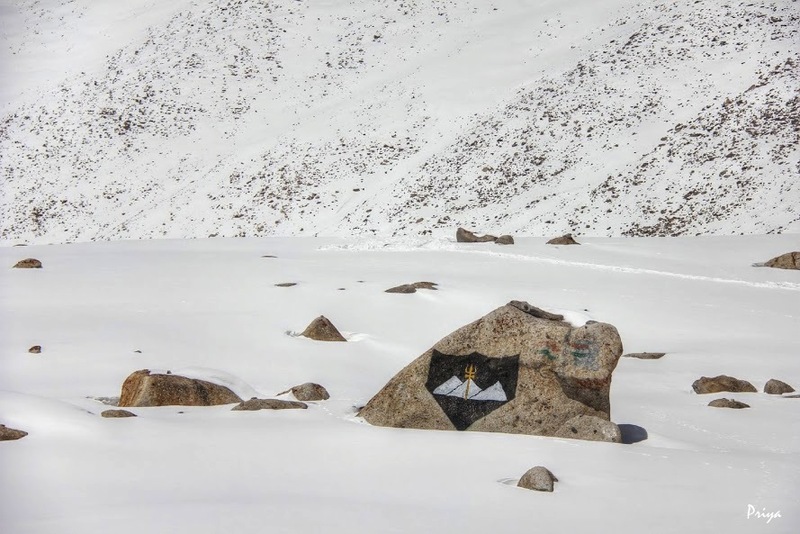 ‘Someday’ came by last month, and we made the 5-hour drive from Leh to the lake in the third week of April. 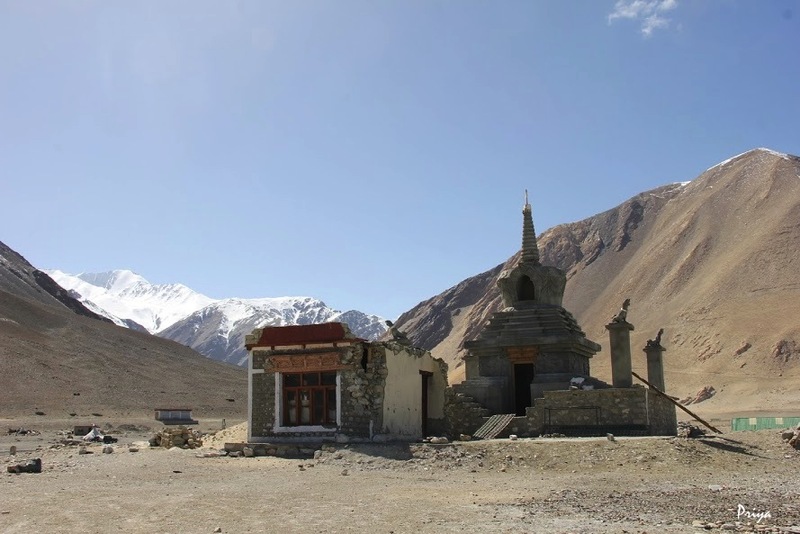 We left our hotel at around 8.30am, and drove past the villages of Thiksey, Shey and Gya. 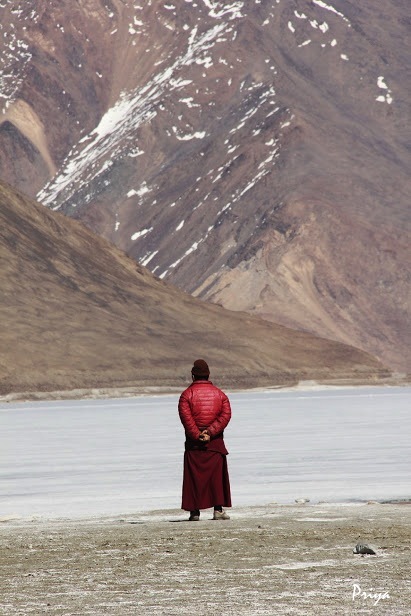 While there were monasteries and palaces here that we’d wanted to visit, our driver/guide advised us to save those for another day, and head straight for the lake instead. It was good advice, because we’d planned to be back the same day, and we still had a long drive ahead of us. 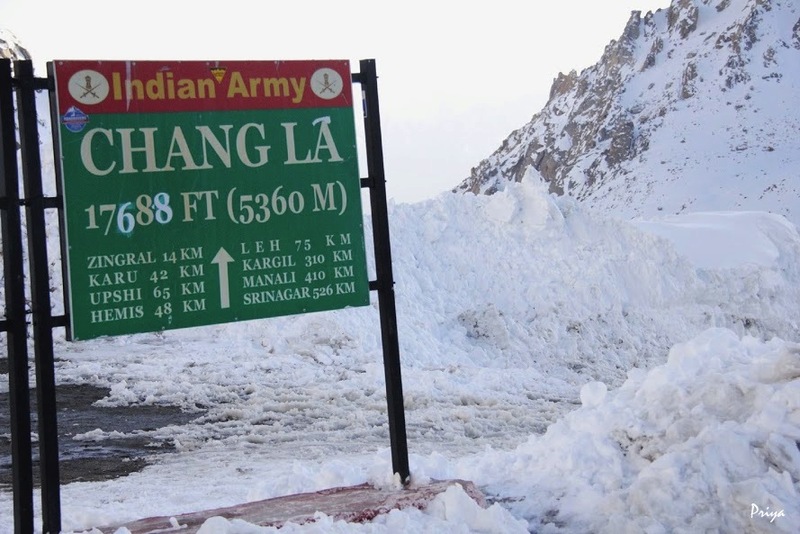 Beyond the villages, the road wound upward toward Chang La, the third-highest motorable mountain pass in the world, at 17,688ft. 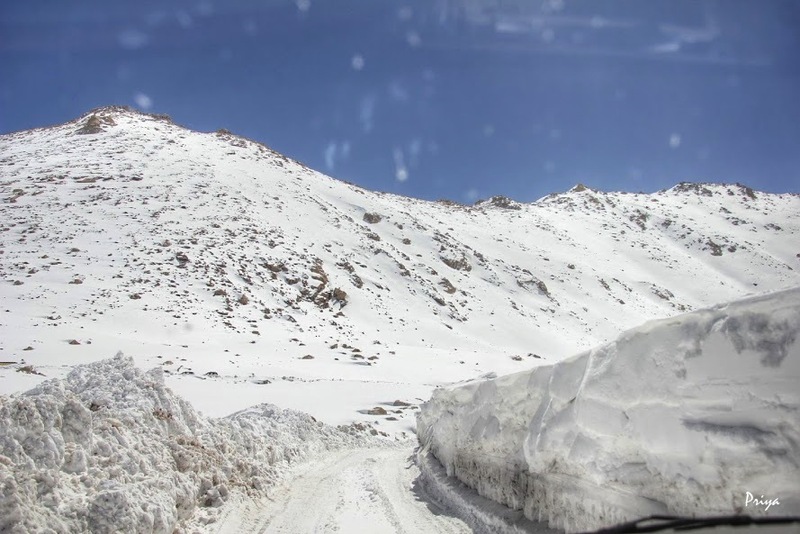 The brown landscape gave way to gleaming, blinding white, and we had to stop to fit snow chains on our vehicle tyres before climbing higher. Progress was slow, at 20km/h, over slippery ice and snow, but I enjoyed every moment of the frosty sub-zero temperatures and the frigid winds that swept the snow across my face. It was of course, mind-numbingly cold, but this was a first for me, and like any other first, it was intriguing, captivating and completely brilliant. 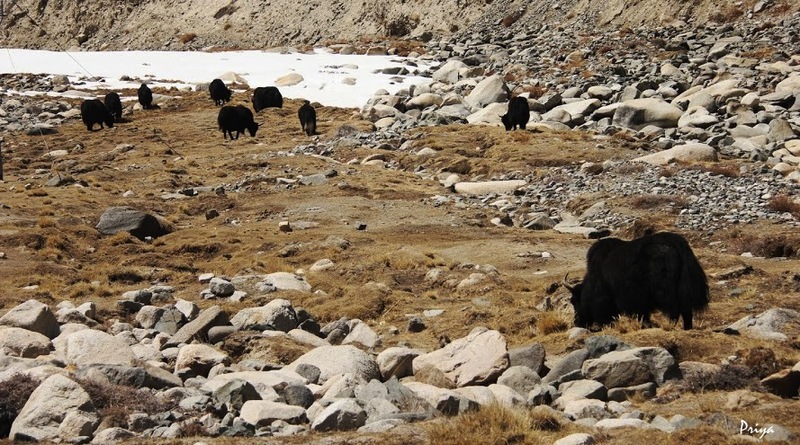 Once we’d crossed the mountains, we drove alongside a frozen river, on the banks of which a few yaks grazed. After we parted ways with the river, the road got increasingly bumpy. In some places, it was no more than a dirt track. I would suggest antiemetics for those who don’t possess a cast-iron stomach. Or you could grab a nap through the rough parts of the ride like I did – but you’d miss some of the scenery that way. 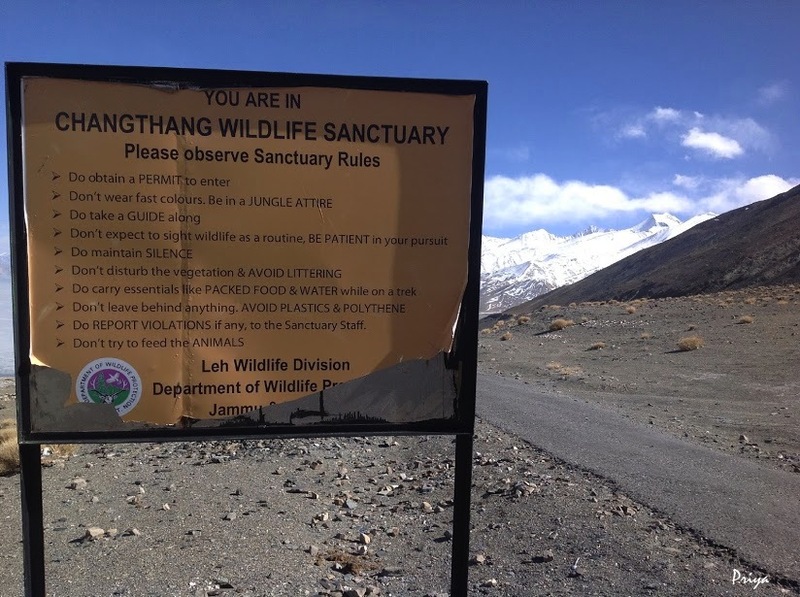 Further on, we passed the village of Tangste and then entered the Changthang Wildlife Sanctuary, where we spotted a few wild horses. 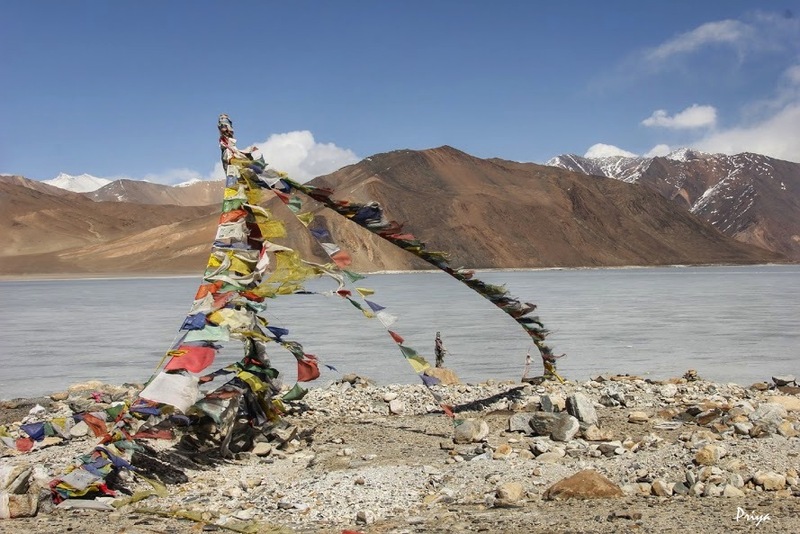 This sanctuary covers a considerable area, enclosing Pangong Tso as well as Tso Moriri. 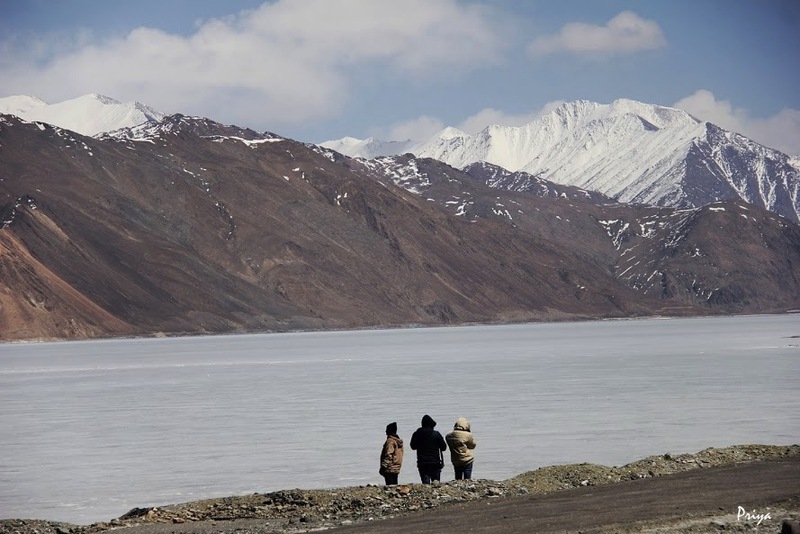 After what felt like a hundred hours on a broken road, we caught the first, fleeting glimpse of Pangong Tso between two mountains, before the rugged slopes obscured it from view. Thankfully, a few minutes later, there it was! And it was even more magnificent than in the movies. 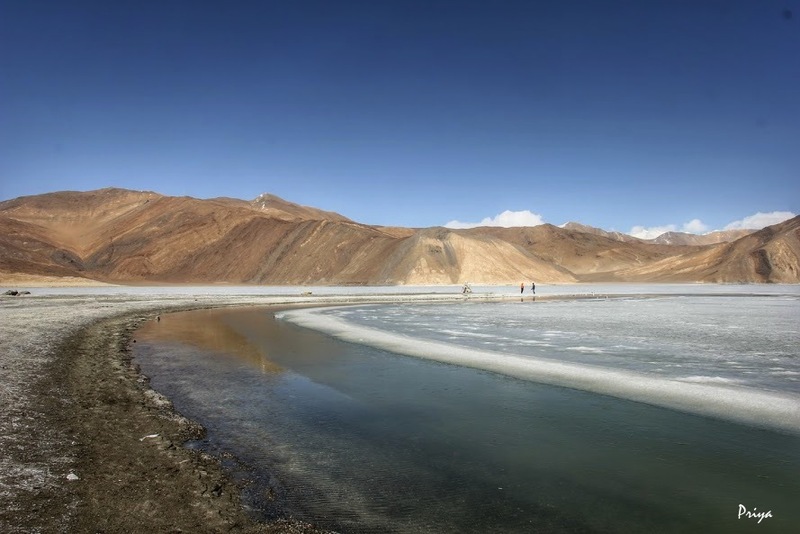 Pangong Tso, or the ‘lake of the great hollow’ is the largest saltwater lake in Asia. Despite being brackish, the lake freezes during the cold months. 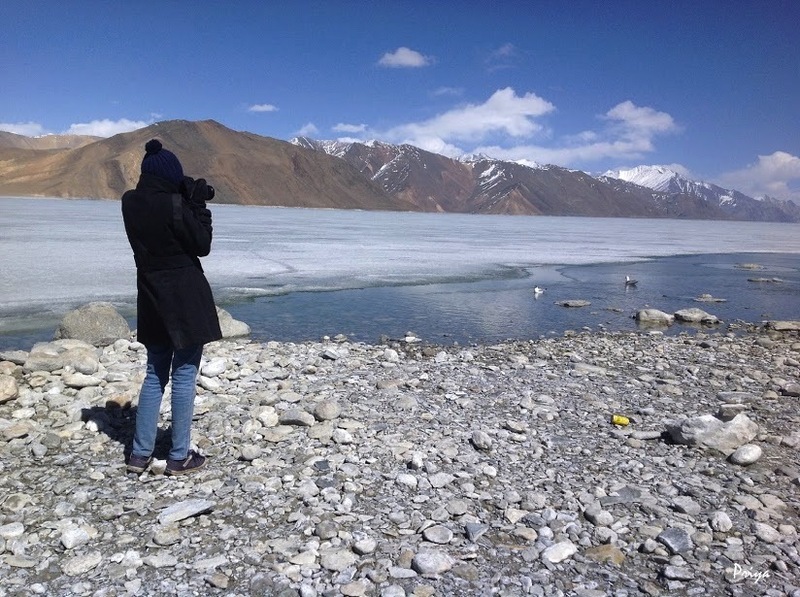 We arrived to find a frozen Pangong Tso that had only just begun to thaw around the edges. We didn’t see the famed deep blue hues of the waters, but what we saw looked just as stunning. 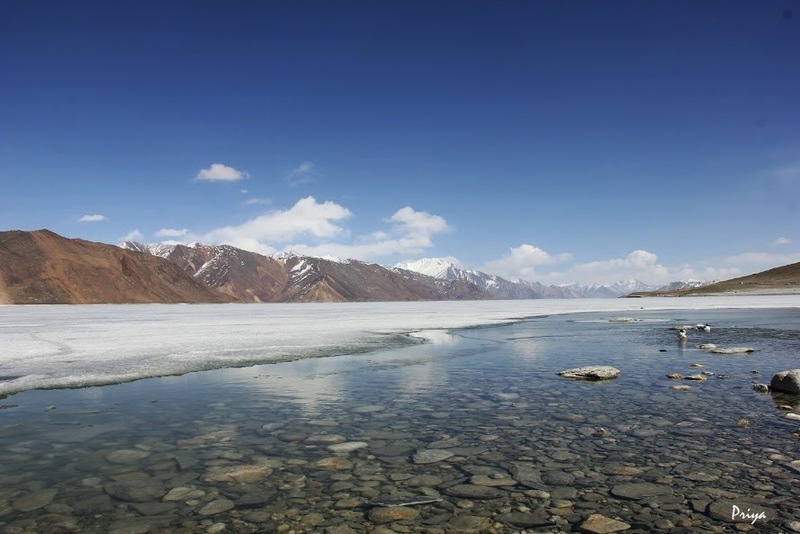 The lake is over 130km long, extending into China for the most part. Between the months of June and August, according to our guide, you can see the clear waters of the lake change colour with the time of day. It remains frozen the rest of the year. 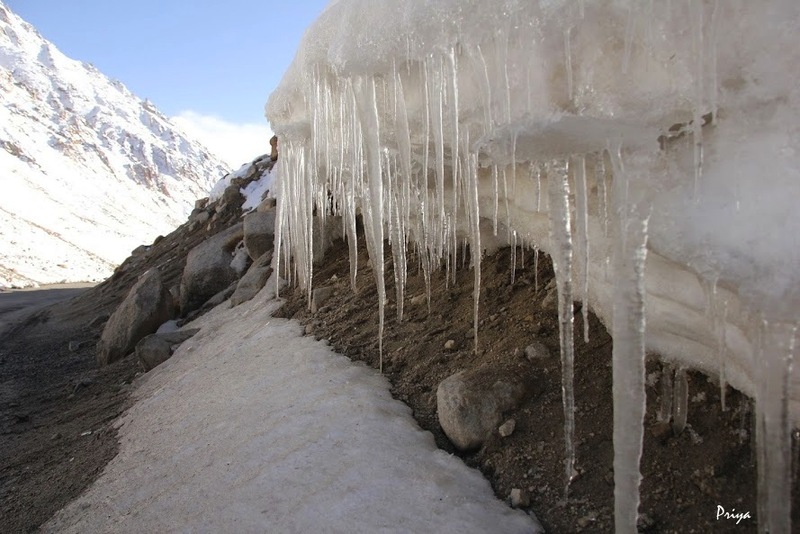 Nestled in the Himalayas, at over 14,000 ft., this place is piercing cold, made colder by the winds that sweep across the acres of ice, and blow, unhindered, across it. We found a few duck-like birds swimming in the melted waters at the edge of the lake. 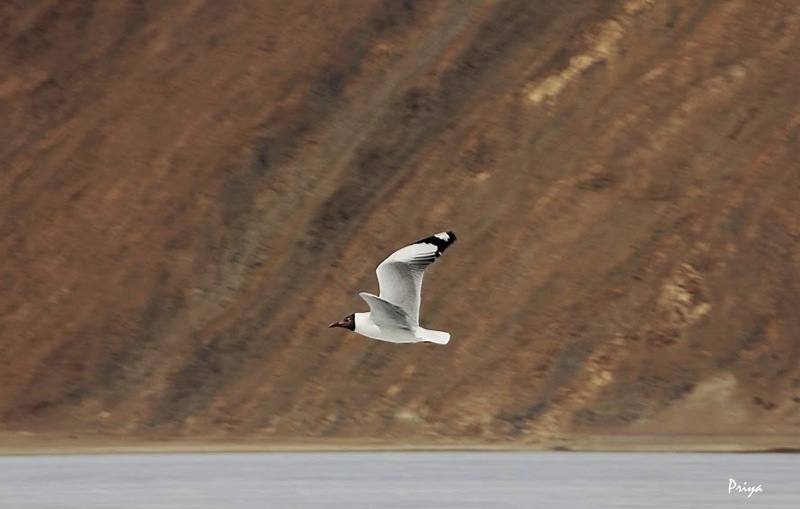 These raucous birds turned out to be brown-headed gulls. We found no flora in or around the lake. We walked alongside the lake for a while, explored a Buddhist temple on the shores, and photographed the lake from every possible angle. After a delicious picnic lunch that had been packed by the hotel, followed by steaming kahwa, the Kashmiri green tea, we were good to go. 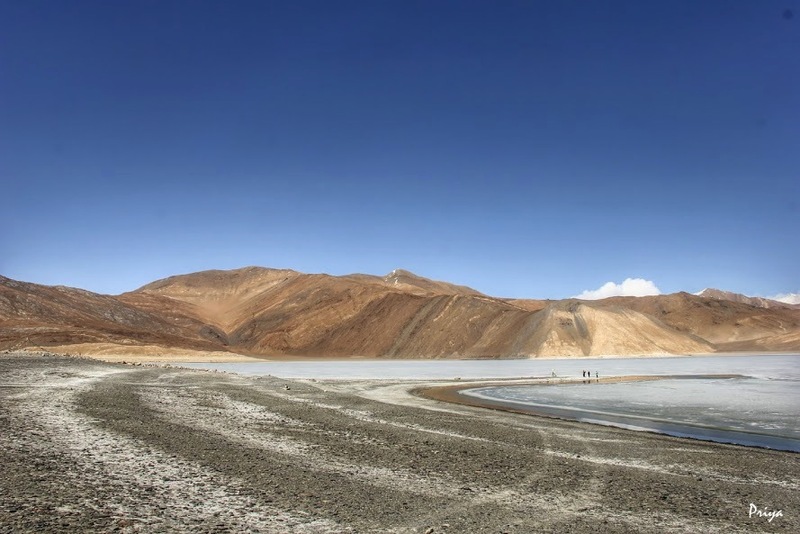 We first drove a short distance alongside the lake, down the road leading to the Indo-Chinese border, then turned around and started on our long and tedious, yet incredibly scenic journey back to the hotel. Excellent narration and pictures as well! I’ve become an armchair traveler, thanks to you. I suppose you meant ‘brown headed gull’ when you wrote ‘brown headed crane’?